As Fern and I put the paintings up, the carpet was delivered. We said out thanks to the man and I rolled it out. "Your not seriously going to do it that way, are you?" I glanced at Fern, my eyes telling her to be quiet. "This is how the queen wants it. Its not as hard as it sounds. Do you want to do it for the first time," I questioned, knowing the Smaller Middle Prince was watching. She widened her eyes, immediately understanding. "Oh, no thank you! I&apos;ll finish up with the paintings," she said in a convincing manor. I heard Hector walk away, "Phew, Fern be more careful!" "Sorry," she muttered, "But are you actually going to do it that way?" I shook my head when I saw that there were no Royals around. I lifted my hands and circled them around. Sparkles starting showing, ad soon a magic ball was formed. I murmured a few things and the magic went to the rug. It unrolled itself and put itself down perfectly. I made the magic put pressure on it, and the rug was perfect. Just then, Fern put the last painting up, "Wow. That looks nice! You haven&apos;t lost your magic touch then?" I was a different type of werewolf. I was a Werewolf Mage, a rare wolf with instinctive magic abilities. They tended to be feared, for if angry they can cast spells to kill a king. I always disguised as a hunter, and I mastered the art of archery. &apos;Going out with Fern, we&apos;re done,&apos; I mind linked Father. He sent an okay back and I dragged Fern outside. "Hunt for the kitchen tonight?" I asked. Whenever I hunted, I brought some home and the rest I donated to the kitchen. The king and queen had been searching for the donor who always provided fresh meat when the actual hunters couldn&apos;t find it, to thank them and bring them up to a higher status. I never showed myself for fear that the princes would have to shake my hand, and that couldn&apos;t happen. She nodded, "But I only found a rabbit. If we can take a deer down, there&apos;ll be a feast." 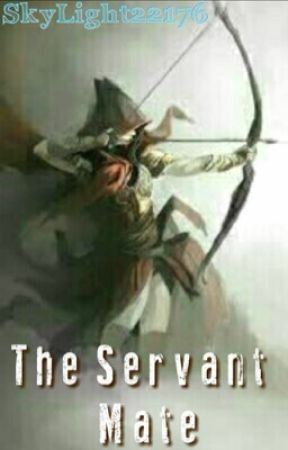 I nodded and went farther into the forest, my bow out with an arrow ready. Soon, I saw a young doe walking around with its mother. 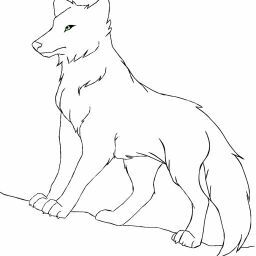 I mind linked Fern, who was in her wolf form. She nodded her black wolf&apos;s head and turned her attention back to the deer. I knocked an arrow in, and I shot the mother right in the neck, in the death spot. It fell over and as the smaller one started to run, Fern got it and took it down. I took my arrow out of the deer and mounted it on Fern&apos;s back. Then, I grabbed the other doe and walked to the family house for dinner. After I dropped it off, I got a trash bag and pretending to drag trash to the dumpster, I dragged the deer to the kitchen. I let it go and I ran out, meeting up with my younger brother, Peter. "Did you drop off a baby deer at our house?" I nodded, and he asked, "What about its momma? Will she be sad?" I nearly said &apos;aww&apos; out loud, but I had to explain, "You see, Peter, you don&apos;t fully understand the concept of hunting yet. I might just kill a baby, but usually the baby is with the mother. I always kill the mother, because its bigger and because that&apos;s how we survive. If I didn&apos;t kill the baby, it would eventually die on its own." "So you didn&apos;t just kill the baby?" He checked. He sighed. "Good. Did you donate the mother?" I nodded and he walked away. Fern met me on the way to the house. "I think Peter was almost crying when he thought about the mother being sad." "I know. He has to understand that we eat meat to survive." The friends walked in silence, not talking, until a high ranking officer came in front of them. I immediately recognized him as Officer Robert. "Excuse me, but do you know who has been donating to the kitchen? Today&apos;s deer was huge, and we want to thank them for feeding us. We will up your status and the donor&apos;s as well." We both shook our heads. "Sorry. We have no idea." He walked out of the servant quarters looking a bit frustrated. "I think I&apos;m driving the king and queen crazy," I said, glancing at Fern. "I would be crazy too. They can&apos;t thank someone who has been keeping them alive." I snorted as I opened the door to the house. I opened the fridge to see the doe stored in it. I snorted again. "I think the boys found this, one of the legs is gone." Fern laughed. "Well, they didn&apos;t eat much for breakfast," she pointed out. I growled. "I was hungry!" She rolled her eyes at me and set to work on the haunch I pulled out for her. I heated mine up, and when I was done, I shifted into a wolf and gnawed on the ribs I got for myself. New book. I actually might not do Rouge. I really want to continue this one for a while.